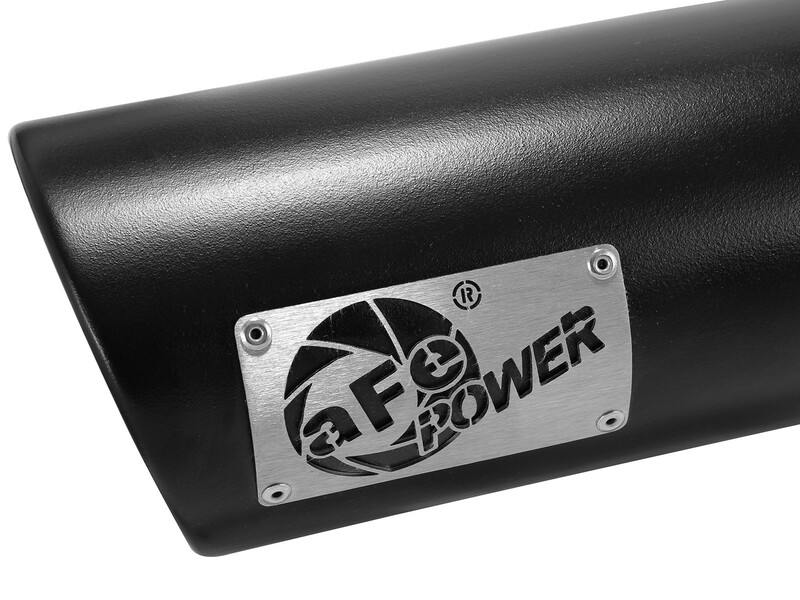 Upgrade your dual exhaust system with our MACH Force stainless steel, universal bolt-on tips designed to fit most 4" exhaust systems. 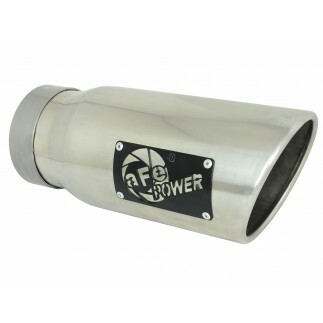 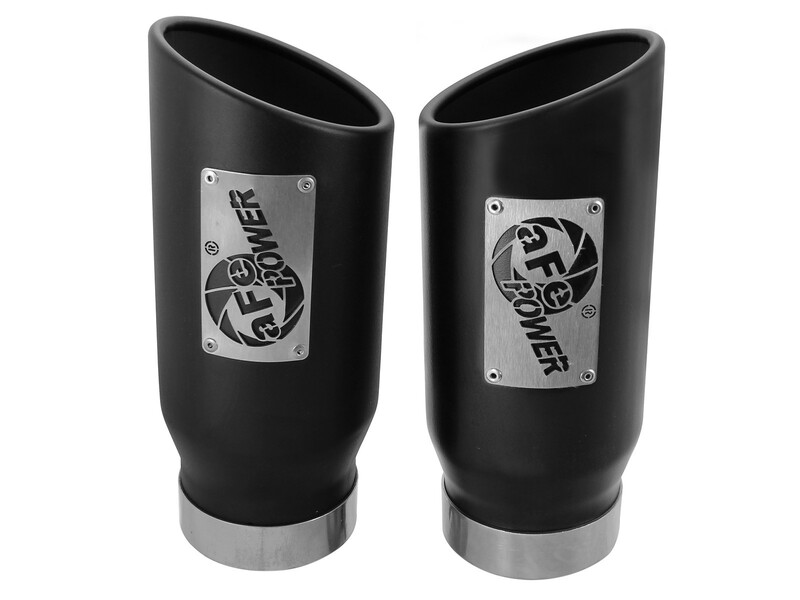 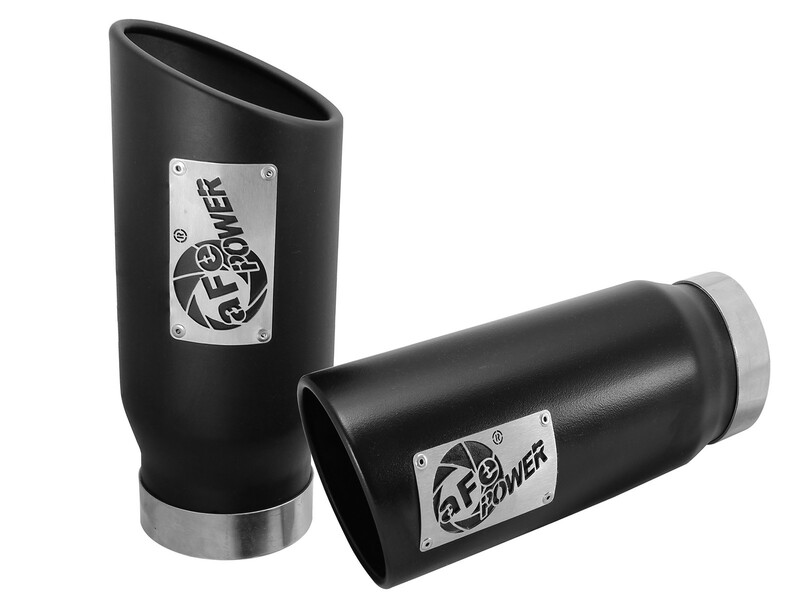 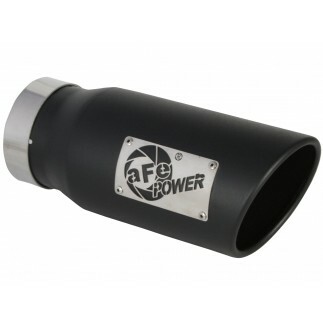 Sold in pairs, these 12" long, single-walled, angle cut black finish exhaust tips feature a brush finished, laser-etched aFe POWER logo for a custom look. 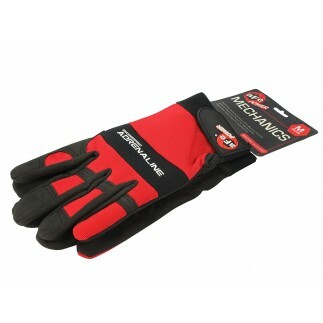 Completely adjustable, the tip set includes quality stainless steel band clamps for a secure fit. 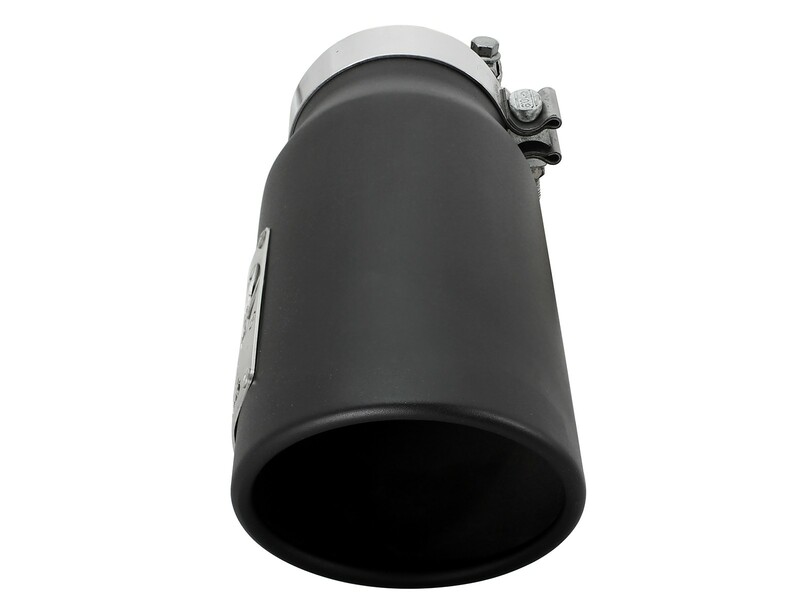 Dimension: 4" inlet x 5" outlet and 12" length. 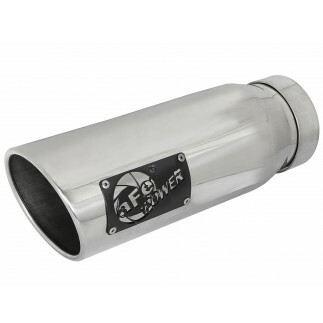 Tips are constructed of stainless steel for maximum strength and durability. 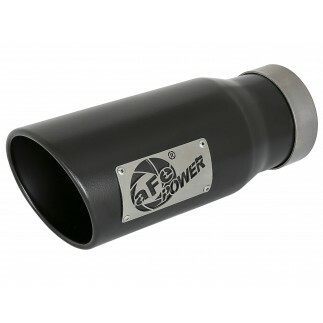 A high temp. 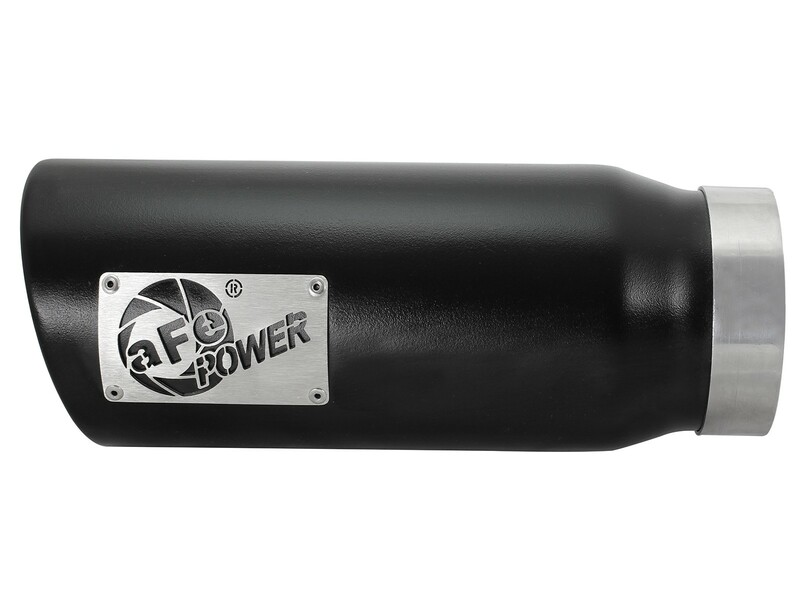 black powder coated finish for a custom look.